Lindsay Lohan did it. Charlie Sheen is doing it. And Elton John says the Piano Man needs rehab, too. The British pop star told Rolling Stone that Billy Joel needs to take rehab more seriously and "do something better" with his life, the Associated Press reported. And if Joel is to have any success, John added that the "Uptown Girl" singer needs to go through rehab like he did - cleaning floors rather than watching television. The February 17 issue of the pop culture magazine also reveals that Elton John and Joel canceled many of their tour concerts together because of Joel's illnesses and "alcoholism." In the summer of 2009, two upstate New York concerts of the duo's high-grossing tour were postponed because the 60-year-old Joel came down with flu-like symptoms. 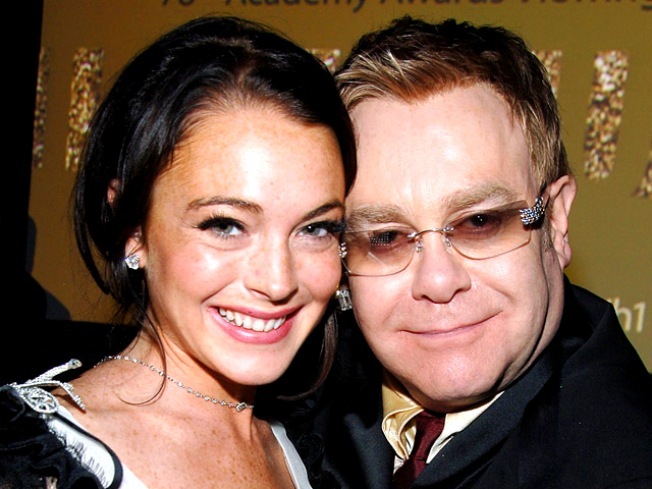 Singer Elton John chats about his admiration for figure skater Johnny Weir. John admits he knows Joel will "hate" him for the public confessions, but said the guitarist needs tough love. The British music idol himself struggled through substance abuse and has been clean for years. Joel sought treatment for alcohol abuse before in 2005 at a California rehab center, and went to rehab for 2 weeks in Connecticut in 2002. Elton John talks about his movie, "Gnomeo & Juliet," an animated version of Shakespeare's classic love story. Also, Elton chats about his duet with Lady Gaga in "Gnomeo & Juliet." Plus, what was it like to work with partner David Furnish on this movie? A representative for Joel had not yet returned the Associated Press' request for comment.